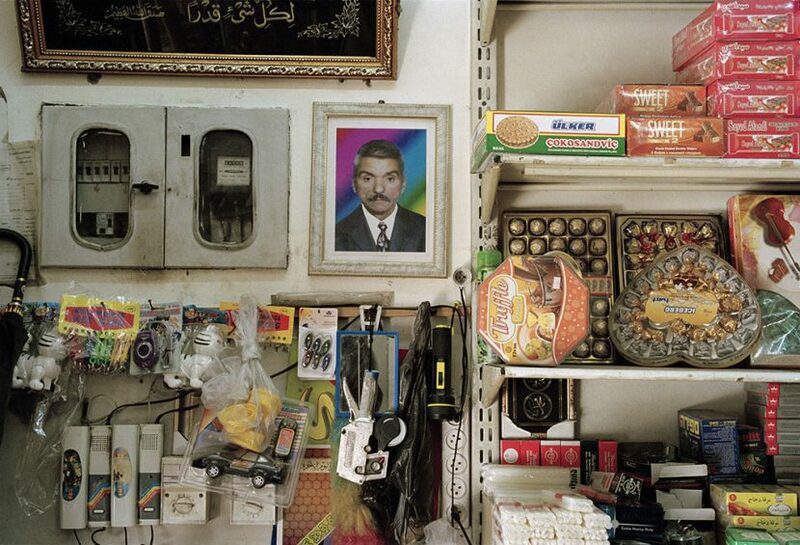 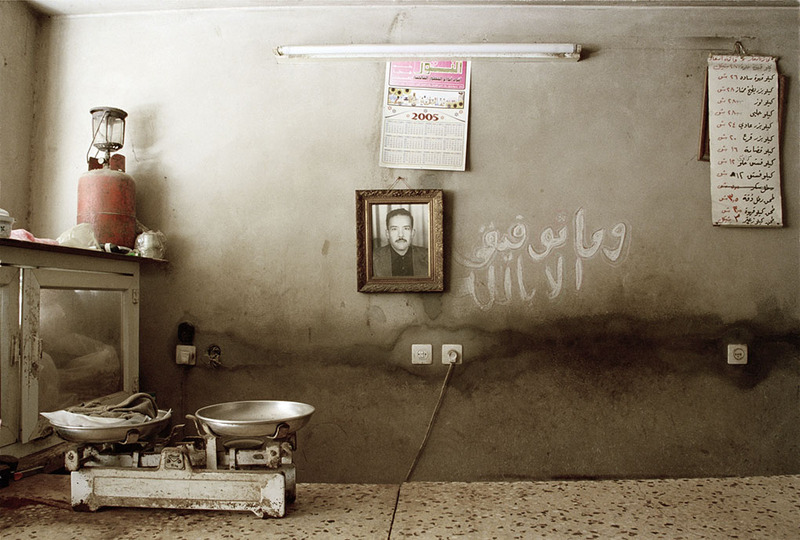 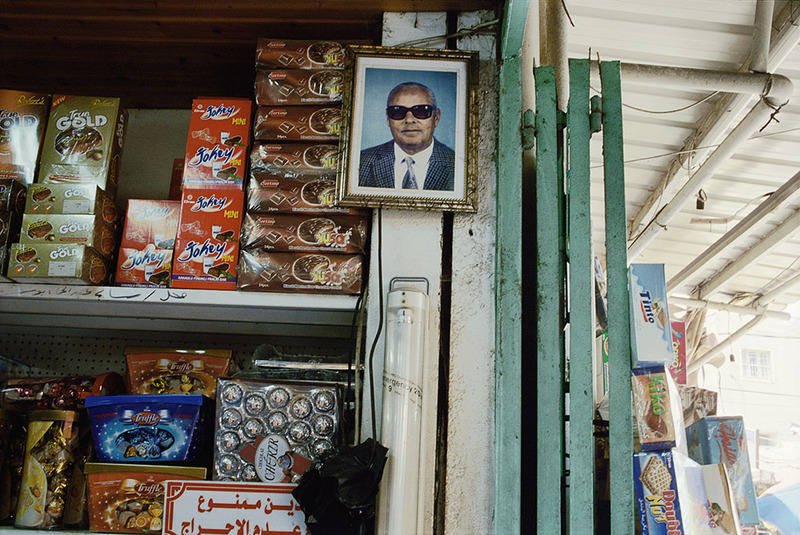 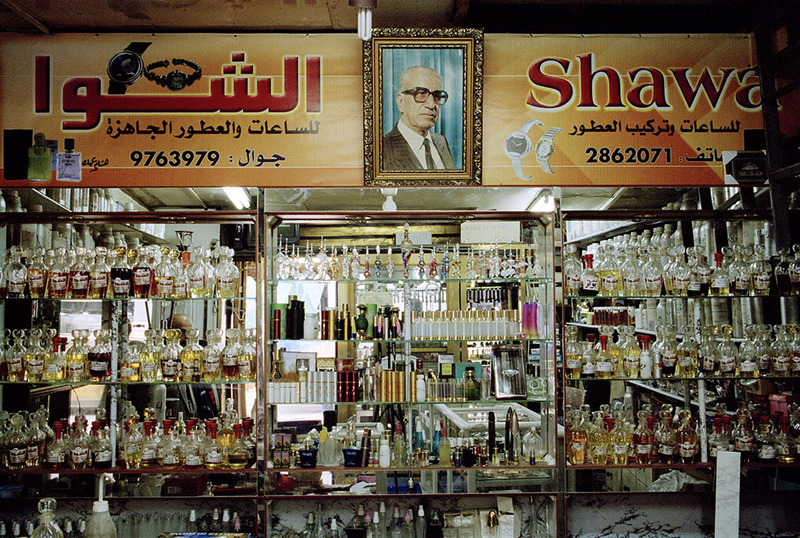 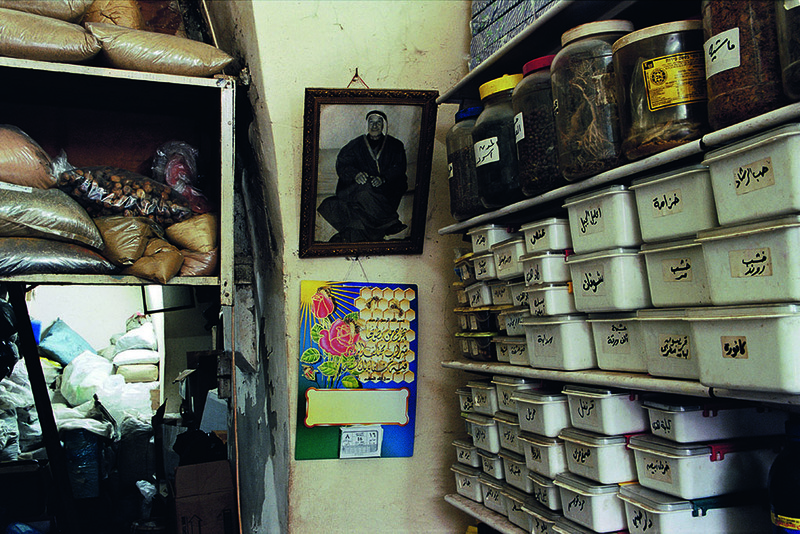 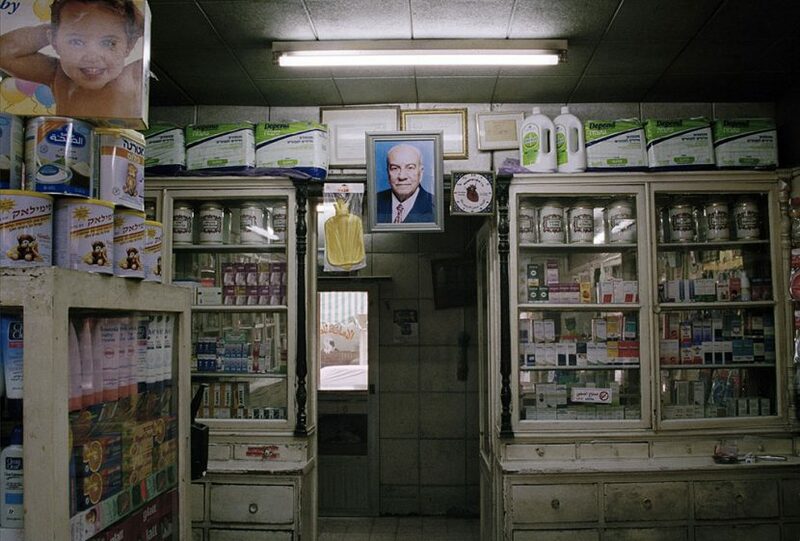 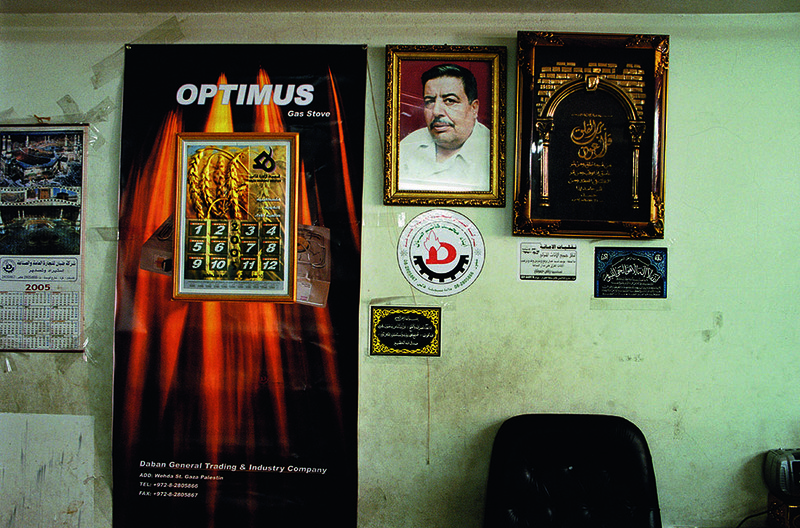 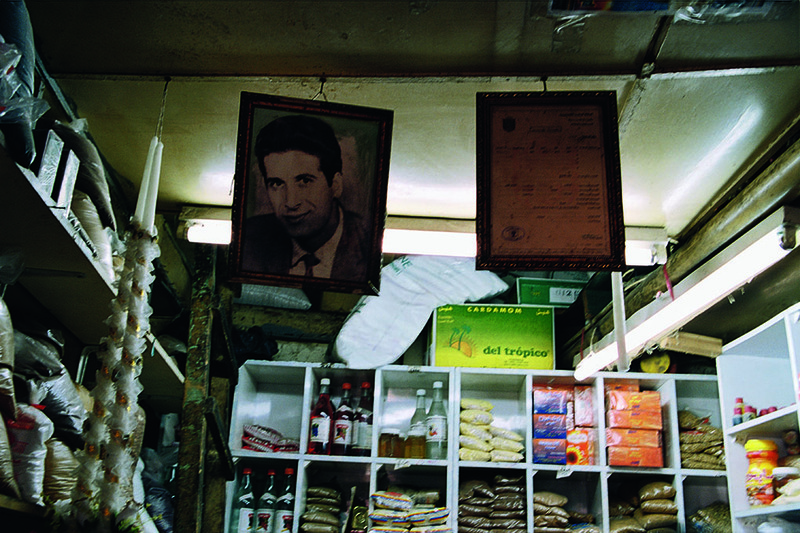 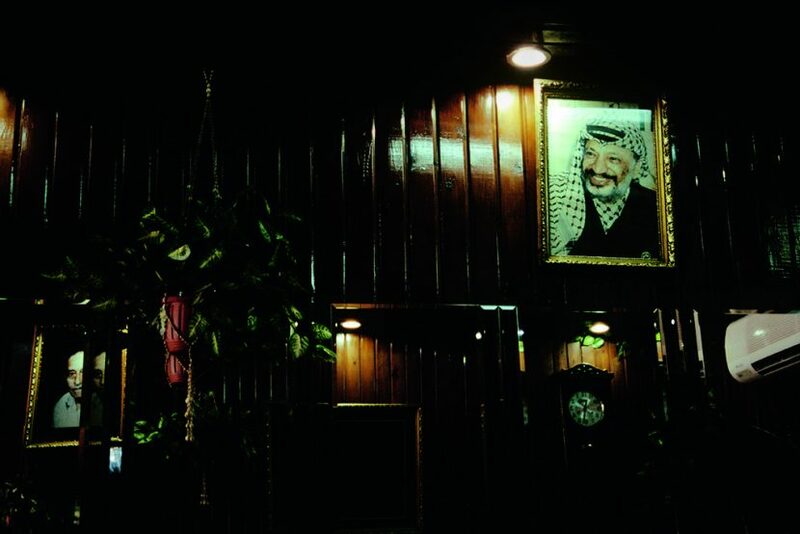 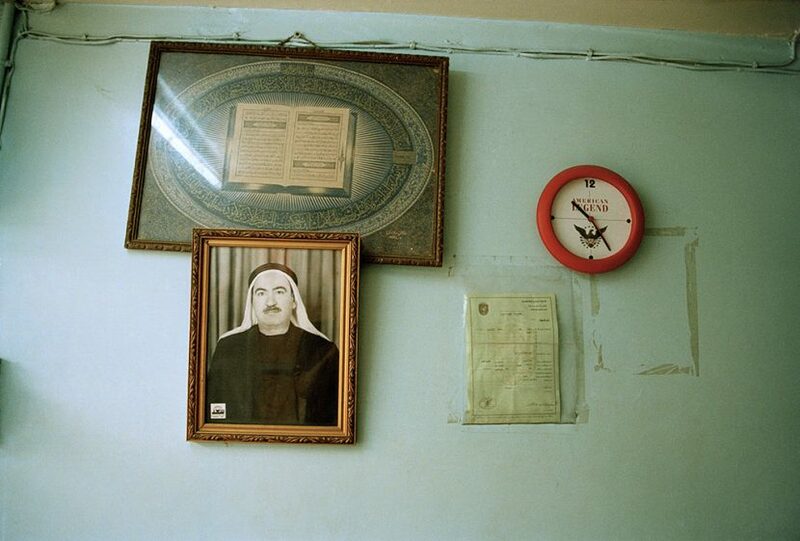 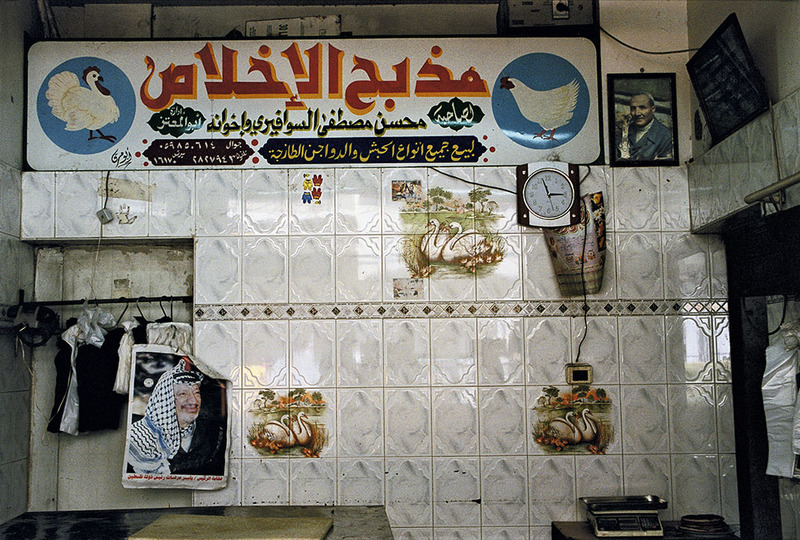 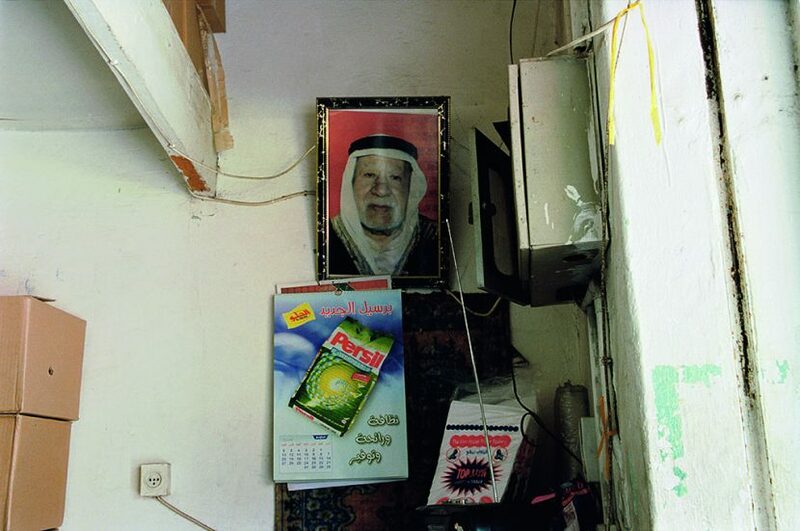 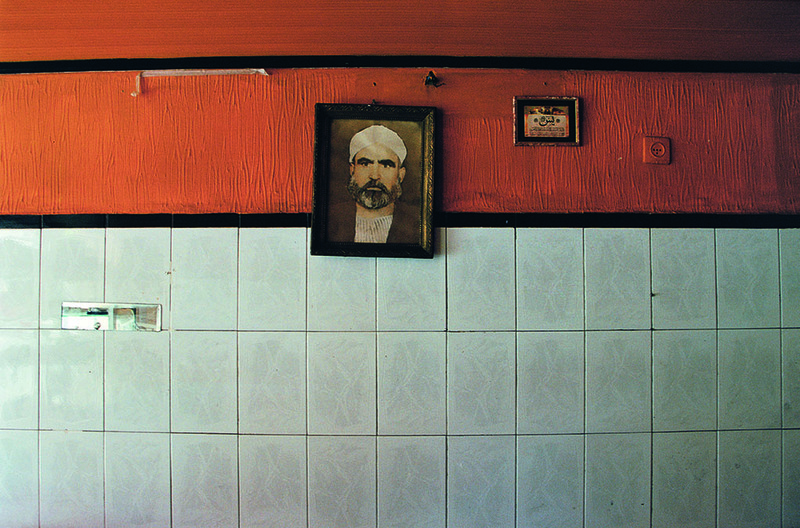 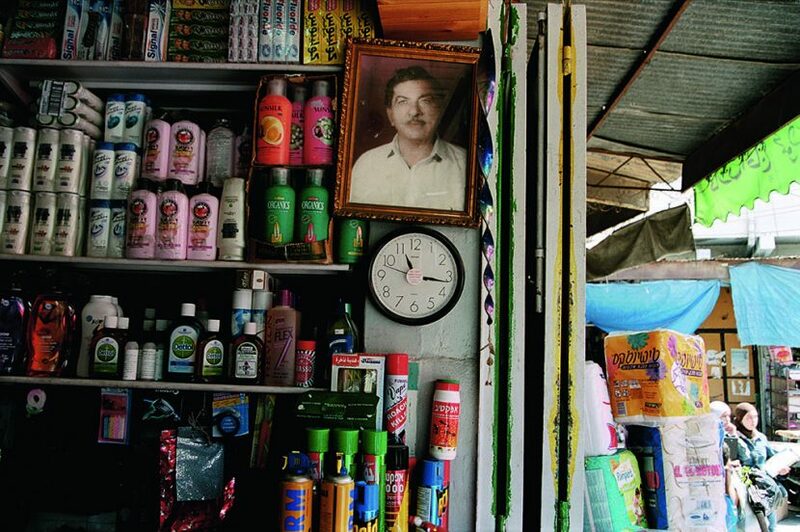 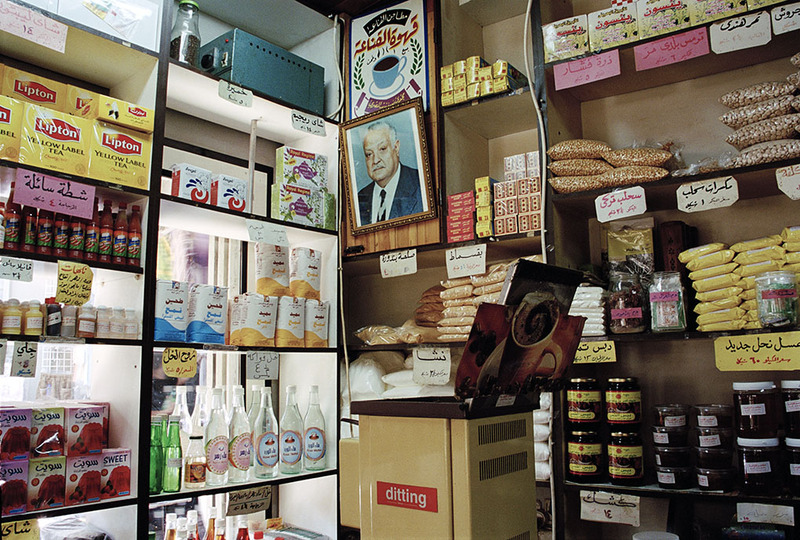 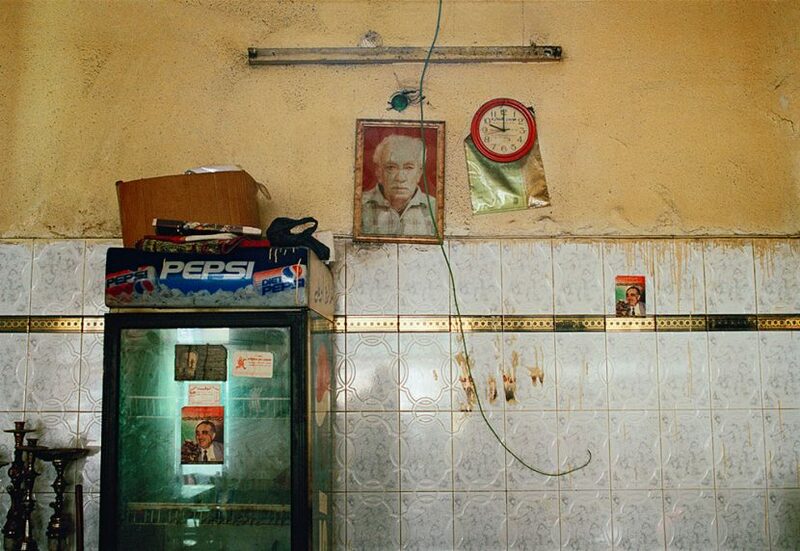 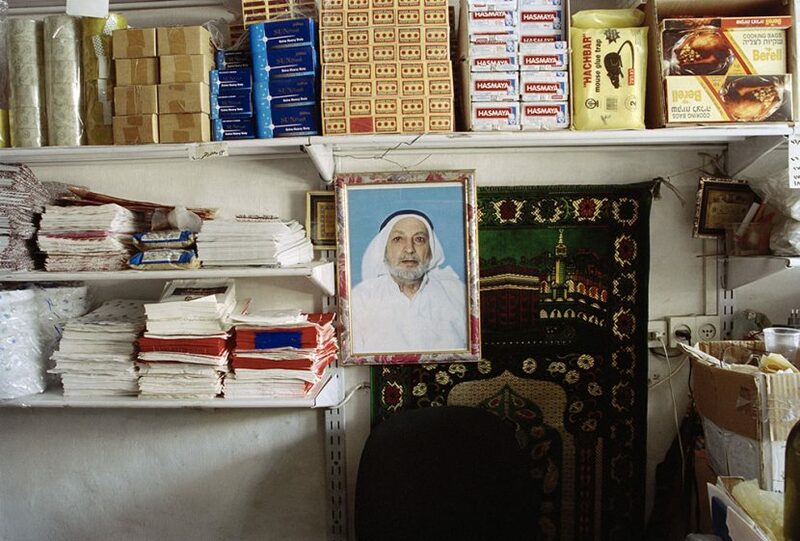 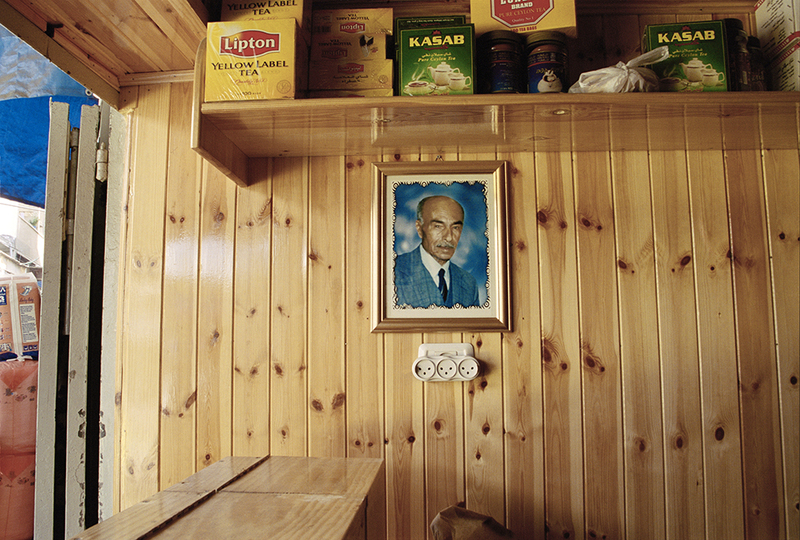 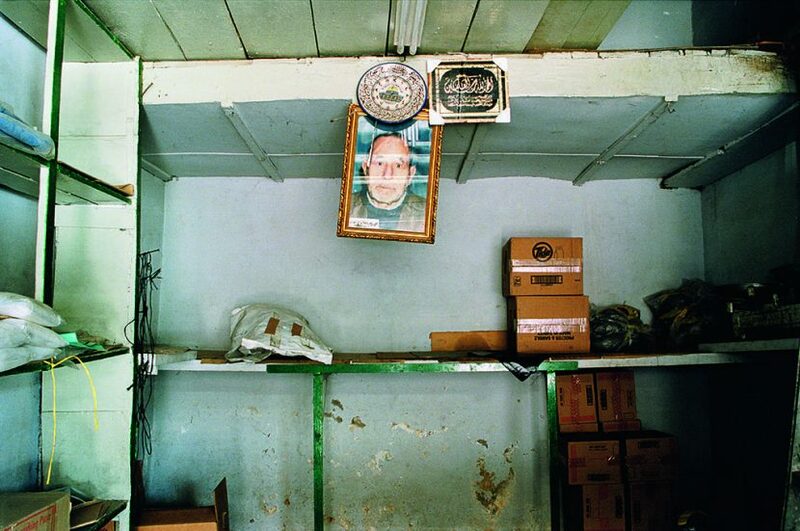 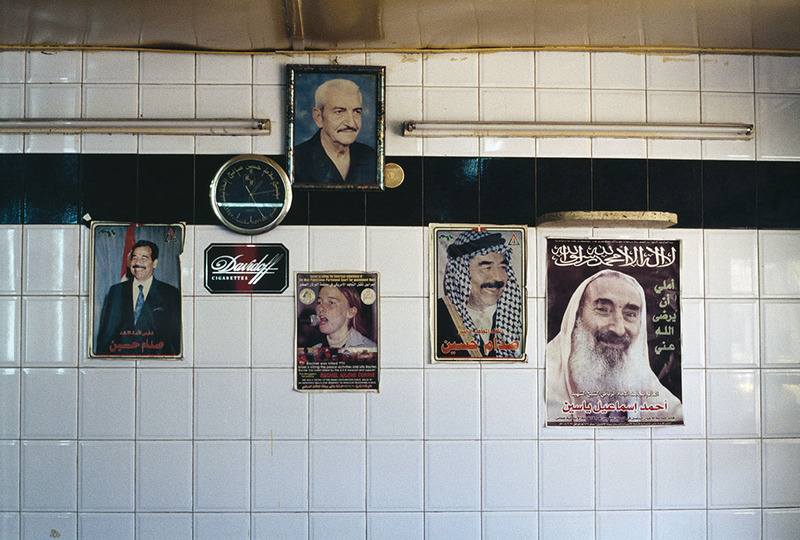 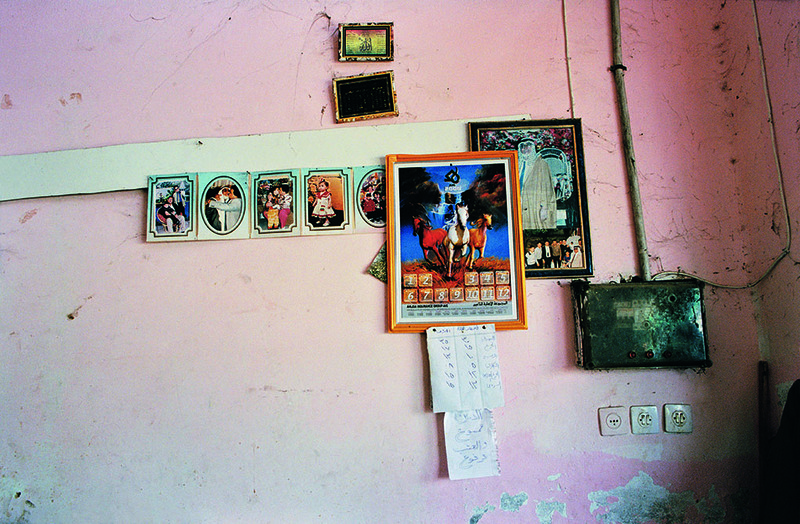 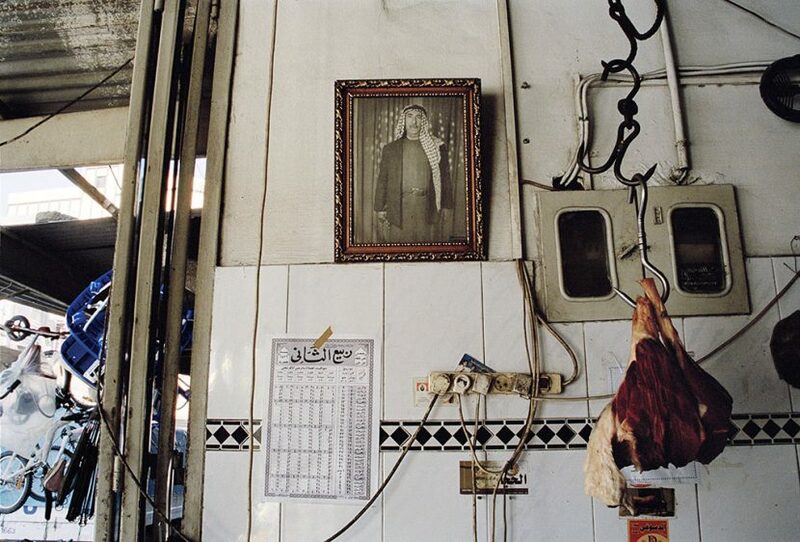 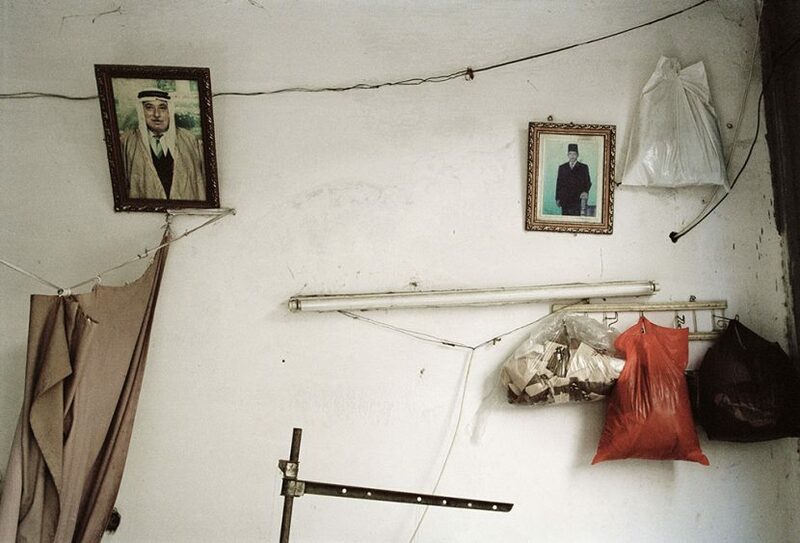 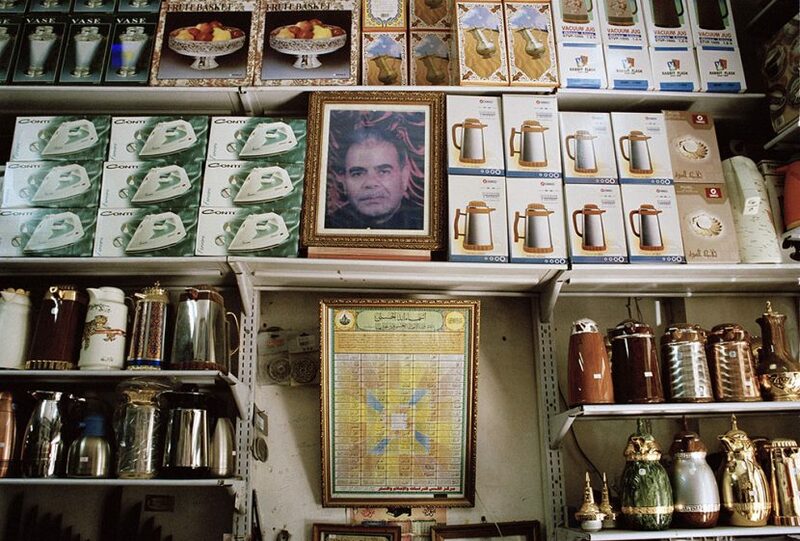 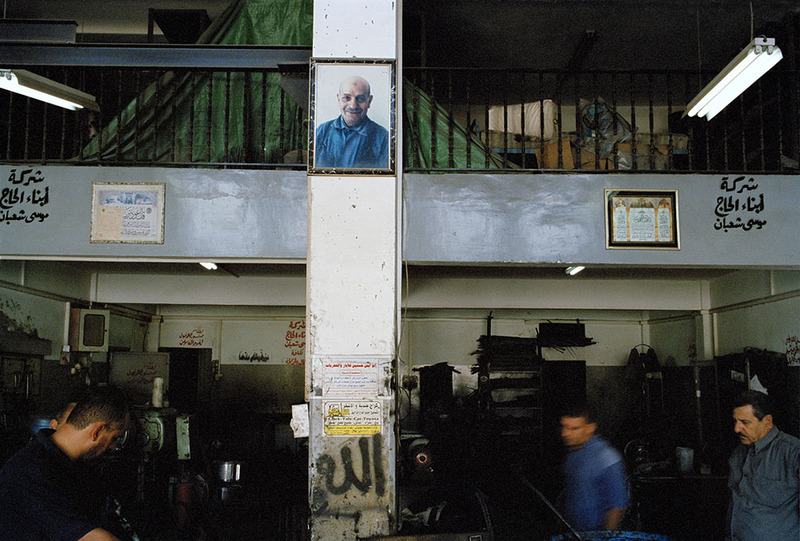 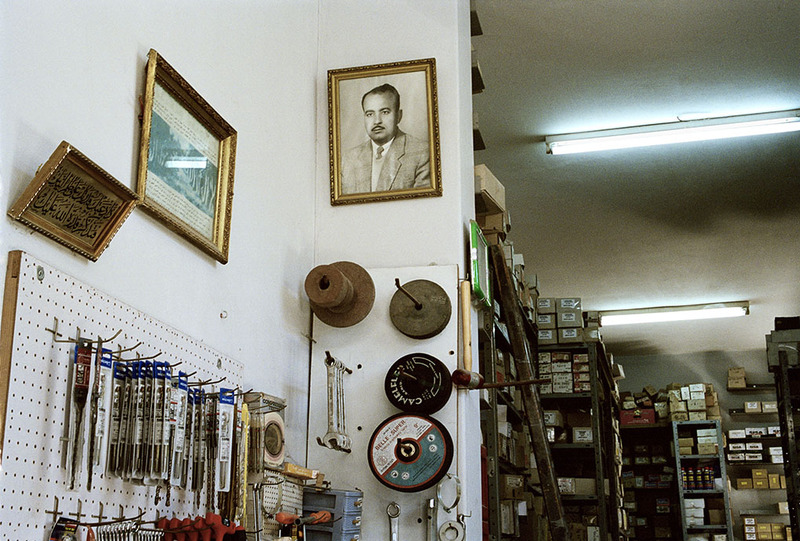 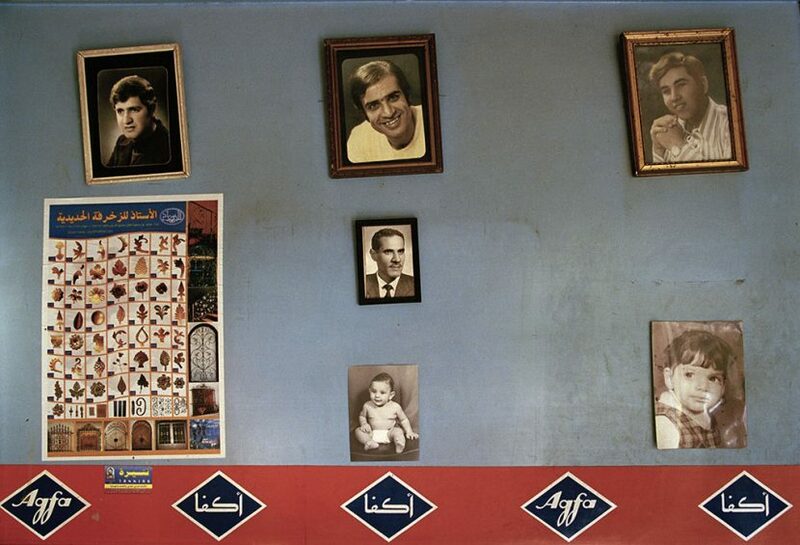 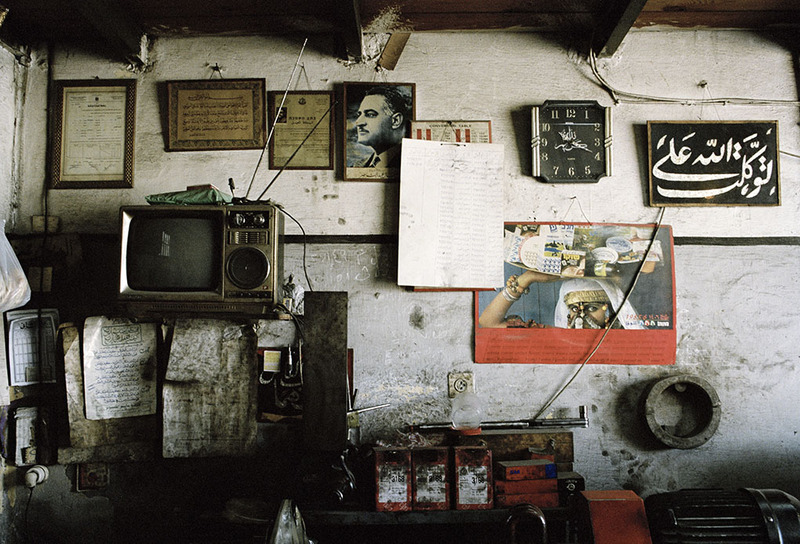 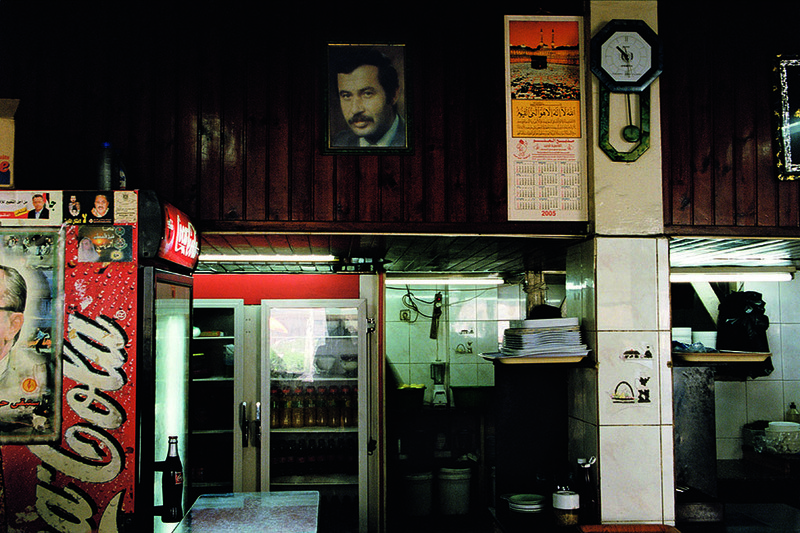 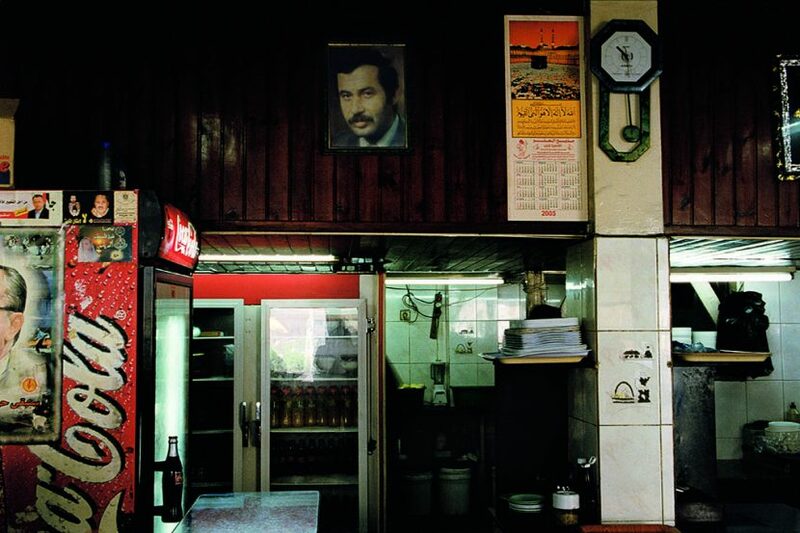 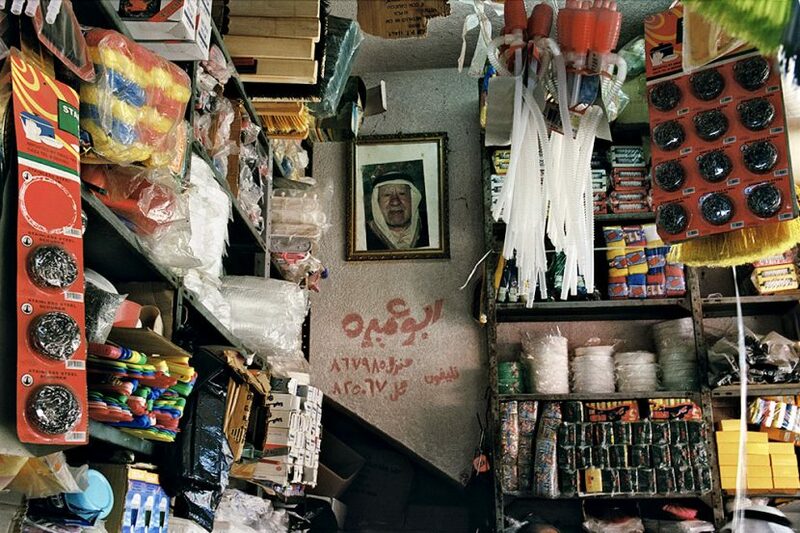 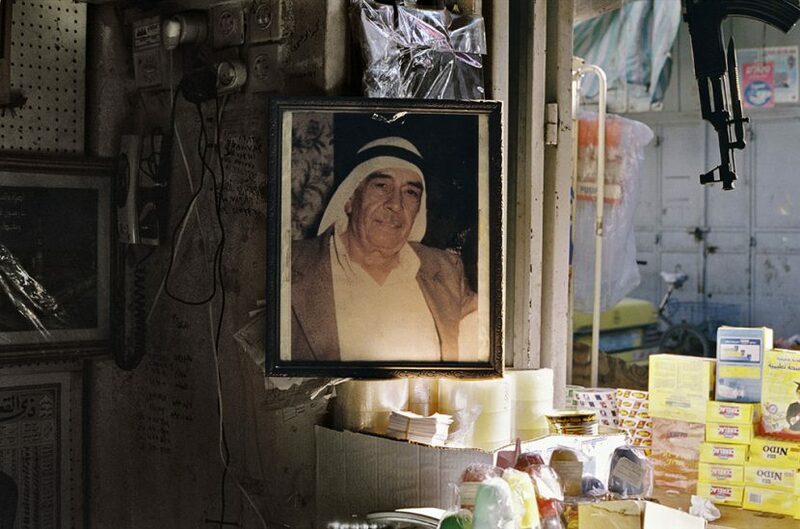 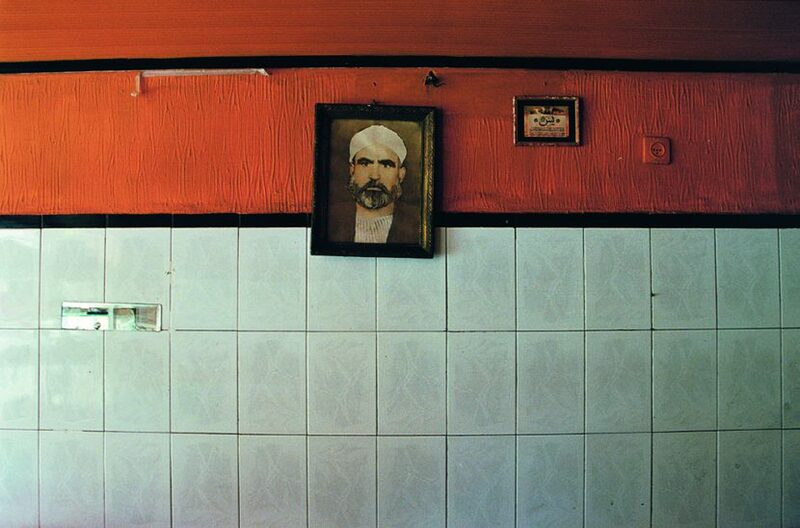 This series of “photographic portraits” made in Gaza’s shops, cafés, factories and other workplaces in 2005 and 2006 focuses on framed portraits of “masters of the house” (usually the late founder or, more rarely, the present boss) hanging behind a counter, conspicuously sitting on a shelf or hiding amidst a jumble of stuff for sale —“Unconscious compositions1” arranged by the owners. A sociologist might see this work as a questioning of the father’s place in Palestinian or Arab society, the perpetuation of the hierarchical power and authority he exerts after death through his image. 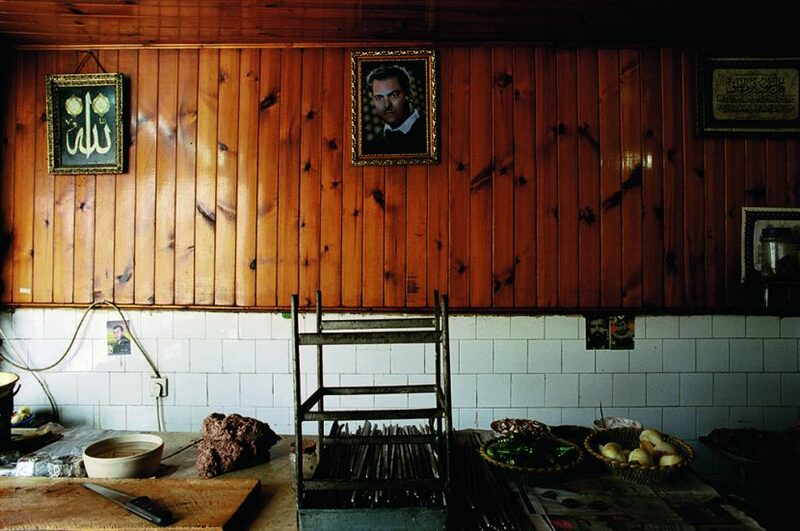 Here, the gesture is rather a way for the successor (the son or a close relative) to pay homage to the “father”, allowing him to belong and remain in the place he created, where he thrived and spent most of his life. 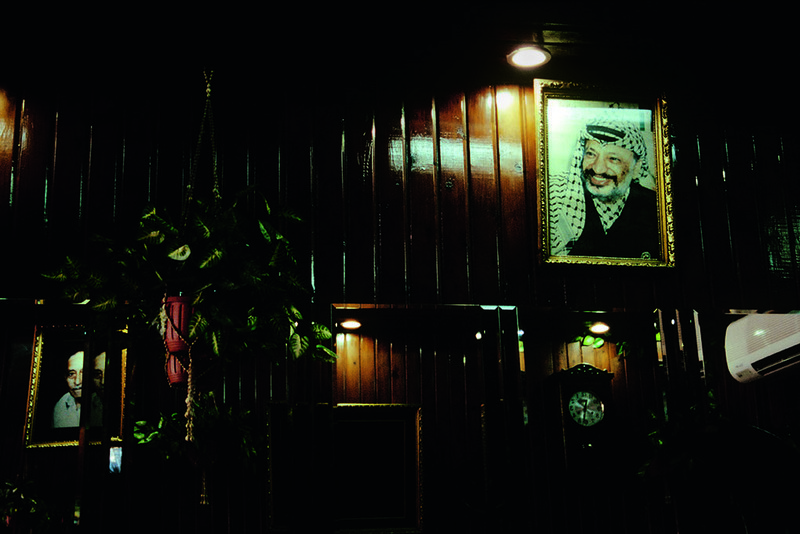 It is a way for him to stamp the premises with the presence of the man from whom he inherited it. Beyond any sociological or cultural analysis, this series, and some of my prior work, fulfill a personal interest in that state (or non-state) of present absence or absent presence —an “in-between” state. 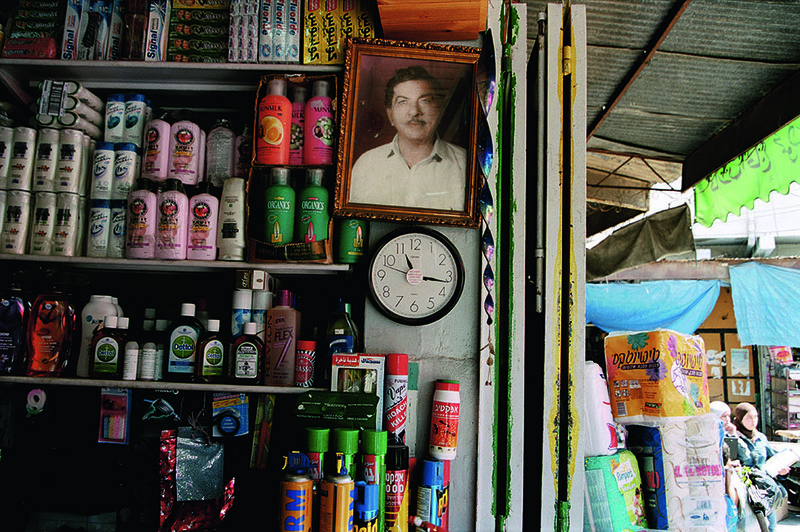 For the shopkeeper, representing absence and the relationship created between the image of the “father” and the elements that make up the photographic field delimited by the frame (the image in the image) is, in a way, an unconscious attempt to establish a link between the past and the present contextual environment. For my part, this work is also, more broadly, a way to question history and current events. 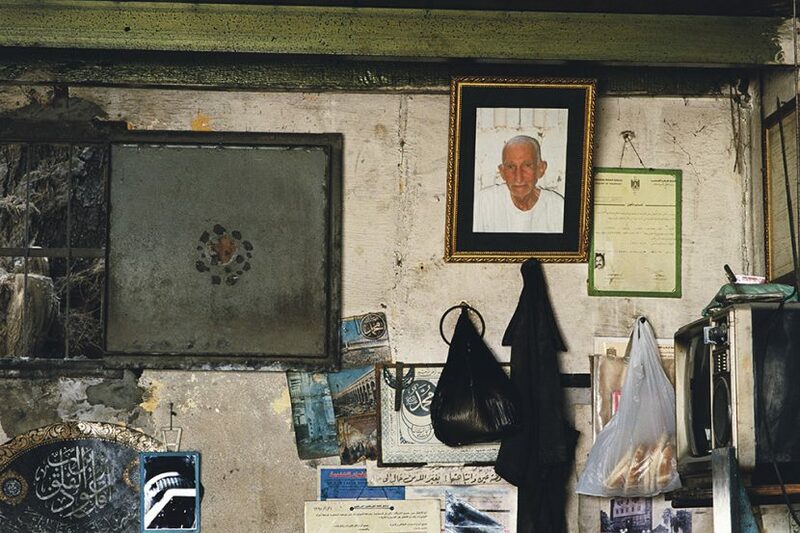 Term borrowed from Walker Evans.